Flat Country Bridges High might be basic in their form, but really perform in terms of function. 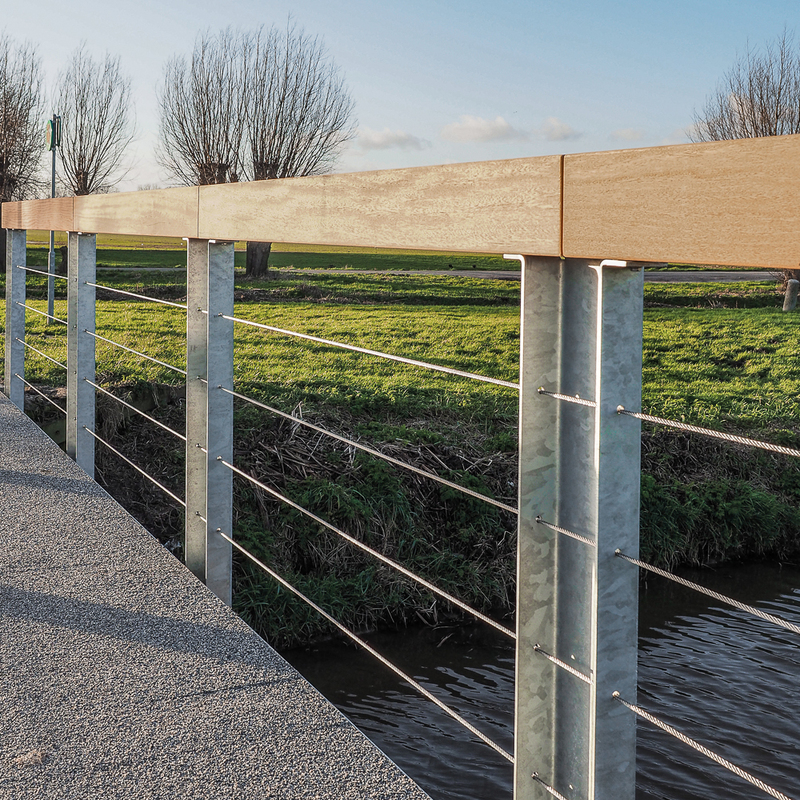 The distinctive Rough&Ready beam is fitted on industrial-looking thermal diffusion galvanized posts, and can be made of FSC® hardwood or All Black, a black synthetic material made of recycled plastics. 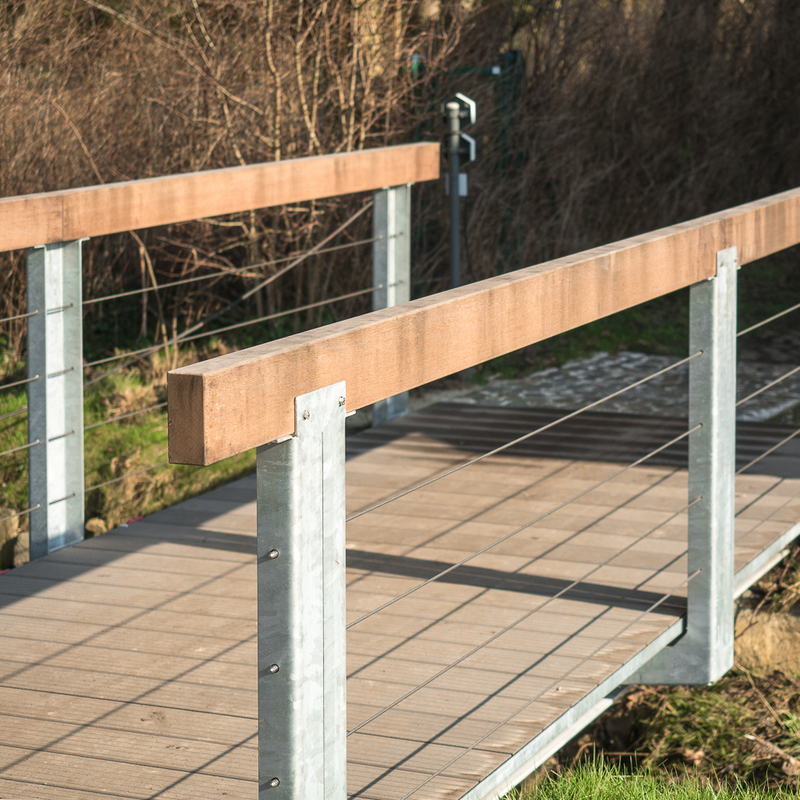 Stainless steel cables run parallel to the beam, reinforcing the industrial design. 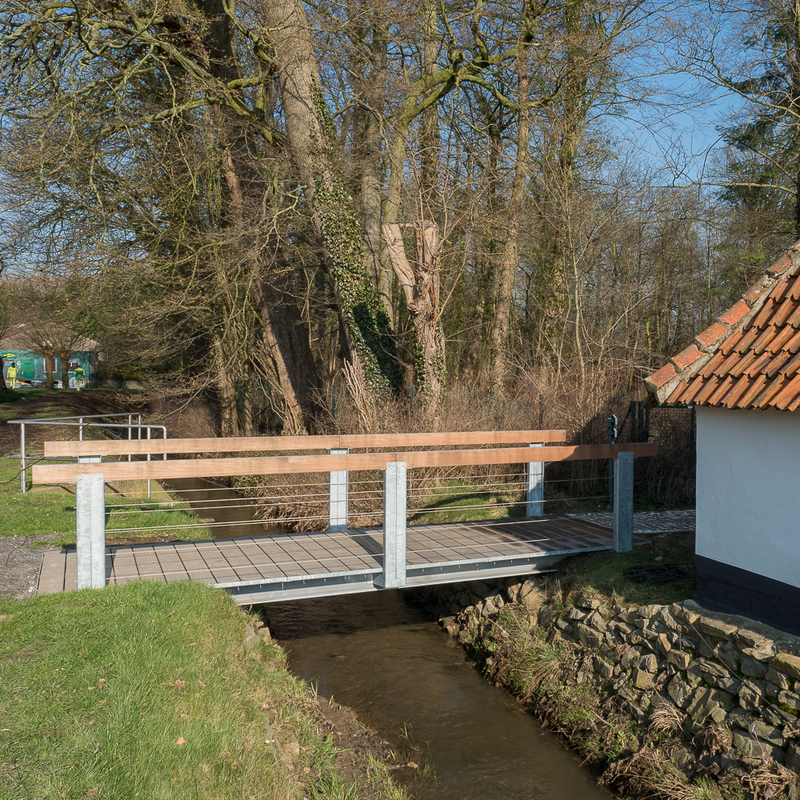 To achieve a warmer look, the bridge can be fitted with CorTen steel posts. 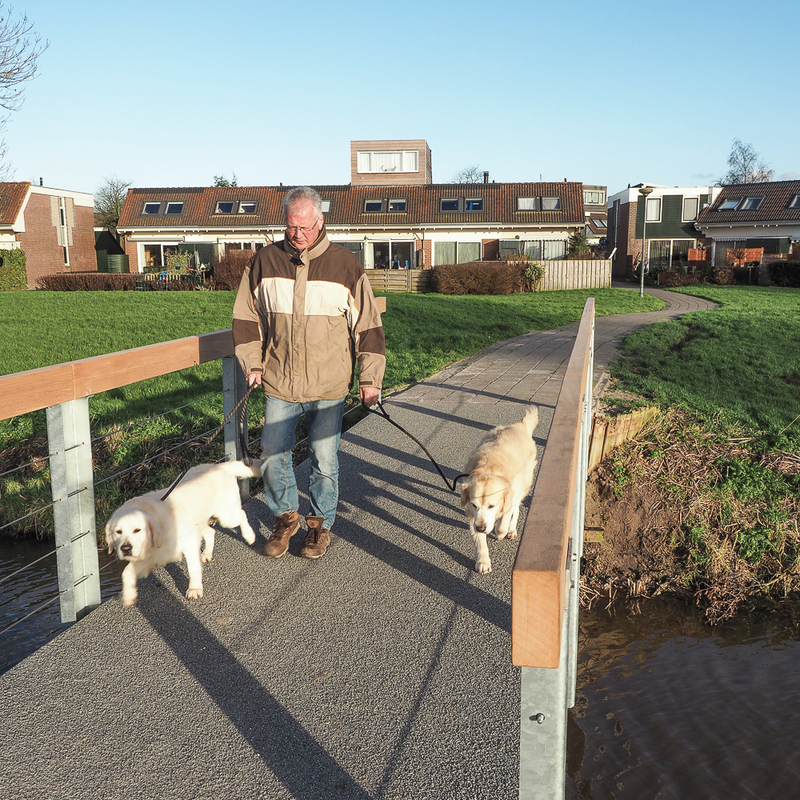 The support structure for the bridge is a simple load-bearing construction.